For news organisations, Facebook pages are the most appropriate way to tap into your audience’s use of Facebook. Build a loyal core of followers to become fans of your pagePageA document having a specific URL and comprised of a set of associated files. A…//read more . Focus on well-connected Facebook users in your audience. Experiment with non-automated posts and monitor the response to see what drives comments and new fans for the page. Measure and adjust. Monitor what works and what doesn’t and modify your Facebook strategy to continue growth of new fans and also traffic to your site. As more businesses started using Facebook, the social networkSocial networkAn online destination that gives users a chance to connect with one or more…//read more launched ‘pages’, which allow companies to have their own page on the site. 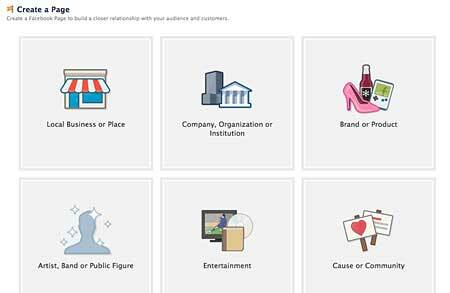 Before creating pages, many media organisations created groups or profiles. But profiles are intended for people, and groups are best used by those who want to organise around an interest, event or political cause. For publishers, broadcasters and journalists, pages give you more options to engage your audience plus more options in terms of analytical tools that tell you how your audience is engaging so that you can refine your social media strategy. 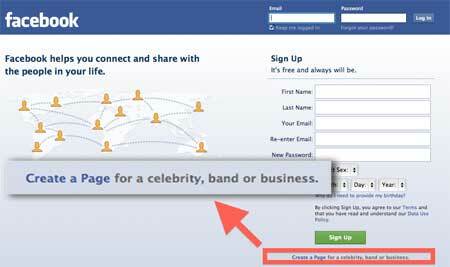 To start creating your page, log out of Facebook. On the main page of Facebook, you will find a small link at the bottom of the front page of Facebook to begin creating your page. You can also search for Facebook Page either in Google. Using Facebook’s search, it will be the first result. The link to create your page will be in the upper right hand corner. 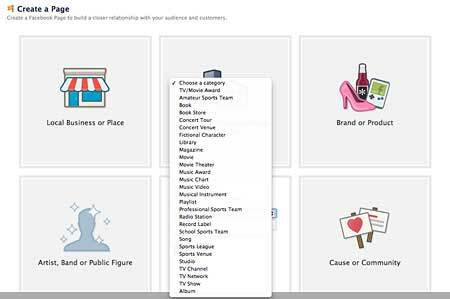 Facebook suggests thinking carefully about the name of your page, although for most newspapers, magazines and broadcasters simply use the name of your site, your newspaper, magazine, channel or station. Facebook recommends adding key information such as how to buy or subscribe to your publication as well as the channel number of radio frequencyFrequencyThe number of times an ad is delivered to the same browser in a single session…//read more for your radio station. This information is important and is key to an integrated social media strategy to support your news organisation. 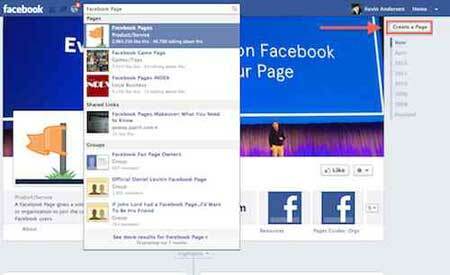 Setting up the page is relatively easy, and the step-by-step guide on Facebook will walk you through the process. The first step will be to choose the category for your page, which is important in helping people find your page on Facebook and also increases the visibility of the page on external search. The categories break down into several areas. For an individual journalist, you’ll want to choose the Artist, Band or Public Figure category. For a media company or news organisation, the best option is “Media/News/Publishing” under Company, Organisation or Institution. For a magazine, TV channel or programme, the best options are under Entertainment. Facebook will walk you through the rest of the process such as adding a photo and as much information as possible. You should upload logos or other brand images for your station, magazine or newspaper. The more detailed information you add to your page, the easier it will be for the page to be found on Facebook and also via search engines. For instance, you can add polls to ask your readers or viewers questions. You can promote these polls on your site or on air if you are a radio or TV station. Cross-promotion on all of your platforms – internet, mobile, print and broadcast – is important to make sure that they all reinforce each other. 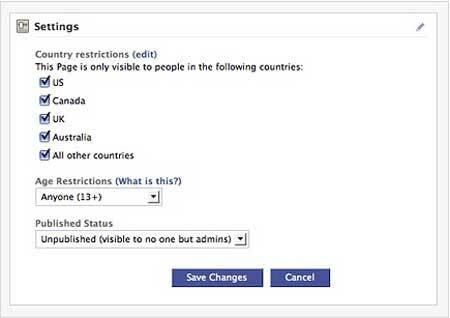 Once you’re ready to publish your page, you’ll be given the option to choose any country restrictions. It’s important not only to choose your home country but also other countries where your audience might be. You can also set age restrictions if you’d like. Facebook doesn’t allow people under 13 to sign up, although it is not difficult for children younger than 13 to get round this. Then you have the option to change the published status. Keeping it visible only to administrators will allow senior editors to see the page before it is published live to Facebook. For news organisations, you can make key journalists and editors administrators to help manage your page. It’s key to have more than one person manage the page to make sure that it’s active over shifts. Also, it is important to have more than one administrator of the page in case the staff member who sets up the page leaves your company. Click Switch next to the Page you’d like to access and manage. If your staff is small, you can automatically share your content using Facebook apps such as RSS Graffiti. This app allows you to schedule when you update posts, which will allow you to spread posting out over the day. However, if possible, do not automate posting of all of your content. Studies show that completely automated pages have lower levels of engagement, decreasing likes and comments by on average 70%. Share different kinds of content, and try different strategies such as posting live updates of sports results, a strategy that has worked for Nepalese radio network Ujyaalo 90 in posting live cricket and football scores. Once 30 users have liked or become fans of your page, you can then use Facebook Insights to track how people are responding to your posts and make changes accordingly. Ross Settles, MDLF Senior Advisor for Digital Media, points out that you can’t overestimate the importance of checking to see what is working and what is not and adjusting your strategy to meet your goals.